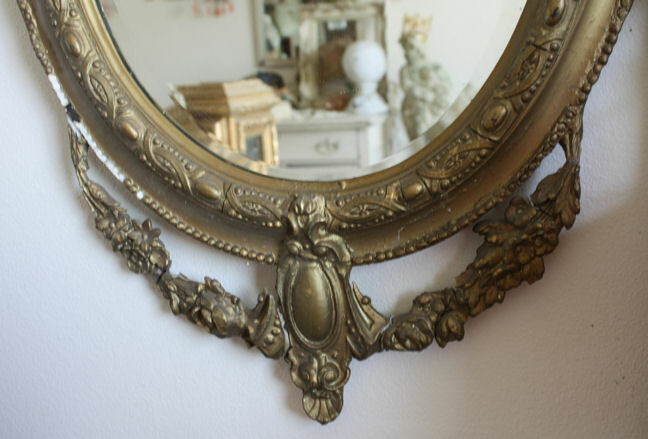 I simply fell in love with the vintage flair of this old antique mirror. 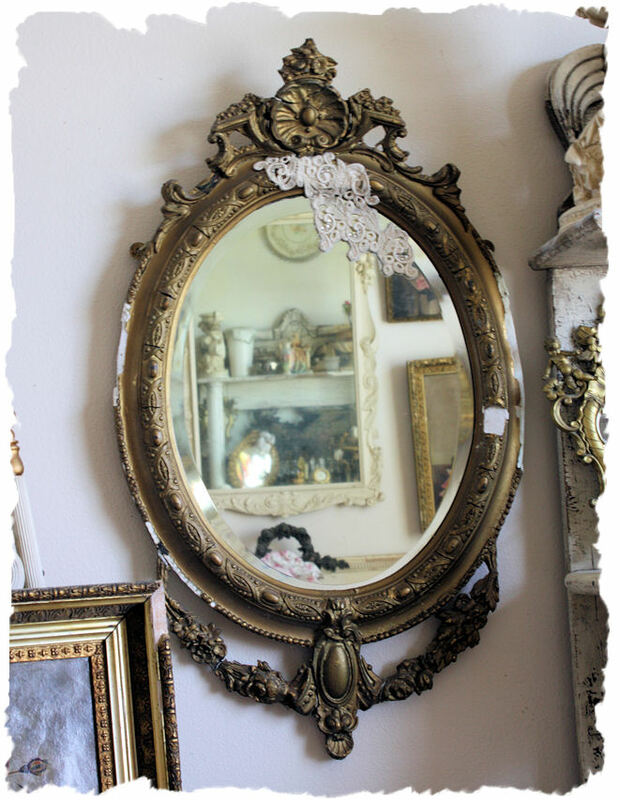 With all it imperfections and vintage allure this mirror hold it is perfect for any room in the home. I adore the old lace that was applied many moons ago, not to mention the beautiful barbola swags details. 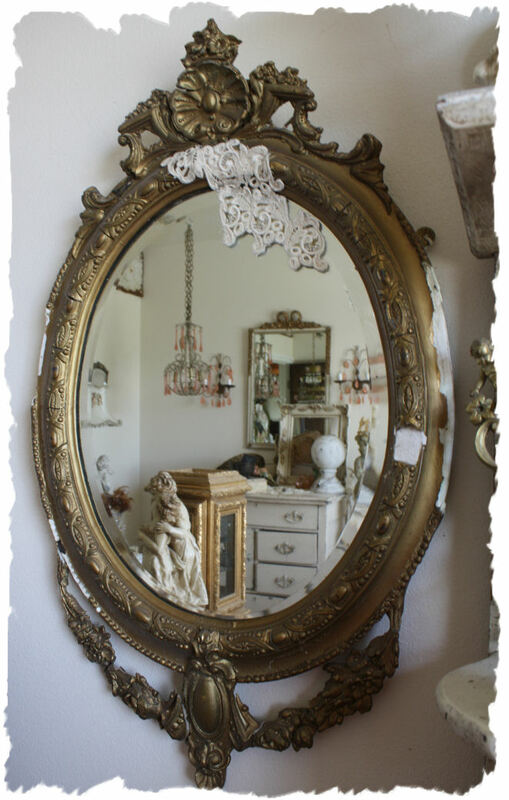 Measurements are 30 3/4 inches tall by 18 inches wide by 1 1/2 inches deep.The mirror within the frame measures 16 3/4 inches tall by 13 1/4 inches wide.